← Shhh… Sigma’s “Whisper” DN Lenses. 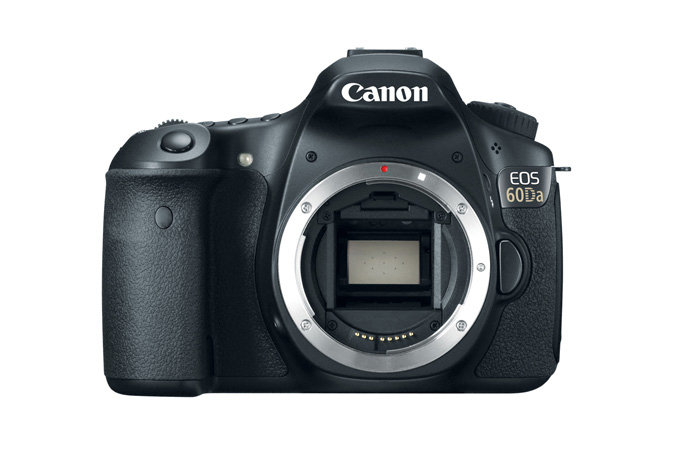 April 3, 2012 – Canon U.S.A., Inc., a leader in digital imaging solutions, today introduced the EOS 60Da Digital SLR Camera, a long-awaited successor to the EOS 20Da that is optimized for astrophotography. This DSLR caters to astronomers and hobbyists who enjoy capturing the beauty of the night sky by offering a modified infrared filter and a low-noise sensor with heightened hydrogen-alpha sensitivity. These modifications allow the camera to capture magnificent photographs of “red hydrogen emission” nebulae and other cosmic phenomena. 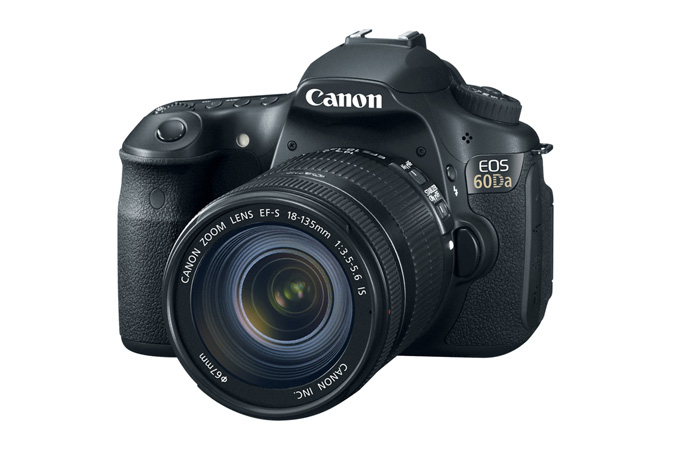 The Canon EOS 60Da camera packs a powerful 18-megapixel CMOS sensor (APS-C) that produces sharp and high-contrast images of astronomical objects, a major enhancement over the EOS 20Da model’s 8.2-megapixel sensor. The improved infrared-blocking filter is a modification suited specifically toward astronomy enthusiasts to achieve a hydrogen-alpha light sensitivity that is approximately three times higher than that of a normal Canon DSLR camera. This produces a 20-percent higher transmittance of Hydrogen Alpha line, or H α wavelength, allowing astronomers to capture crisp, clear images of reddish, diffuse nebulae. The EOS 60Da helps capture the wonders of the night sky with its use of Canon’s award-winning EF and EF-S lenses along with other EOS accessories. Additionally, the EOS 60Da is packaged with Canon’s RA-E3 Remote Controller Adapter, providing the ability to connect a Canon Timer Remote Control such as the TC-80N3 (optional accessory). The TC-80N3 is ideal for controlling time exposures longer than 30 seconds as well as capturing a series of consecutive time exposures that can be composited during post-processing for improved image quality. This is especially useful when the camera body is connected to a telescopei or an EF super telephoto lens.